Skyscrapers, airports, bridges – you name it, civil engineers build it. The nation needs more civil engineers to lend their ingenuity and bring growing cities to life. 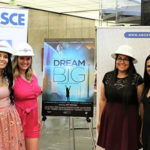 The Bureau of Labor Statistics reports that the civil engineering field is projected to grow 11 percent from 2016 to 2026, faster than the average for most occupations. Whether you’re a new civil engineer or simply looking for change, finding the right city is important. 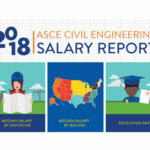 ASCE’s 2018 Civil Engineering Salary Report can help – at least when it comes to the financial aspect of your career decisions. To determine the best places for civil engineers, ASCE News looked at the data gathered from 6,385 Society members. Here are the top five cities for civil engineers, ranked according to mean salary, as found in the 2018 ASCE Salary Report. New York City is known for many things – especially its renowned civil engineering feats. A vast network of intertwined infrastructure serves more than eight million residents and millions of visitors each day. 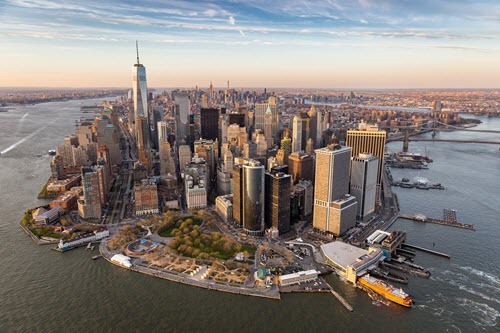 Home to the nation’s largest subway system and tallest building, the city continues to take the lead in robust infrastructure plans like the redevelopment of the World Trade Center. New in town? Join the Metropolitan Section. From monuments to memorials, America’s front yard boasts awe-inspiring landmarks. In 2017 alone, over 22 million visitors spent time in the District. Washington, DC’s bridges carry thousands of commuters each day and offer the best views of the nation’s history. 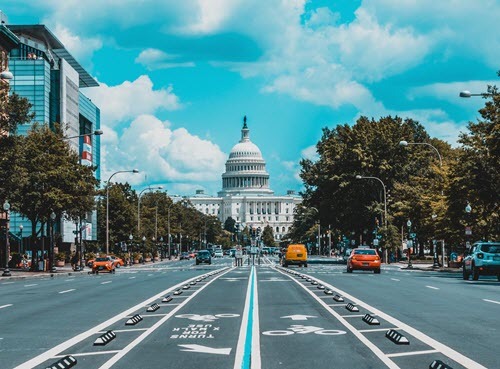 To keep up with the growing landscape, the city has begun incorporating new infrastructure projects like The Wharf and Capitol Crossing. New in town? Join the National Capital Section. With over eight percent of its total land acreage devoted to green and open spaces, Chicago is a city in a garden. 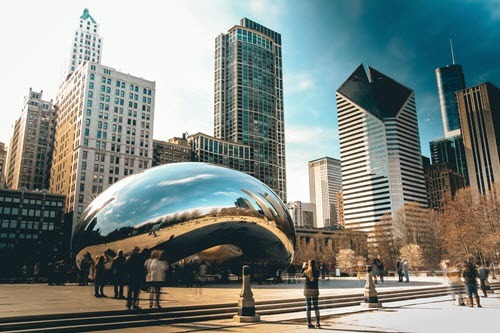 Nearly three million people inhabit the multicultural city, which thrives on eclectic infrastructure such as Millennium Park, bike-friendly transportation, and the nation’s second-largest rapid transit system. The city holds ambitious goals for the future, launching a series of billion-dollar green projects for improved infrastructure. New in town? Join the Illinois Section. 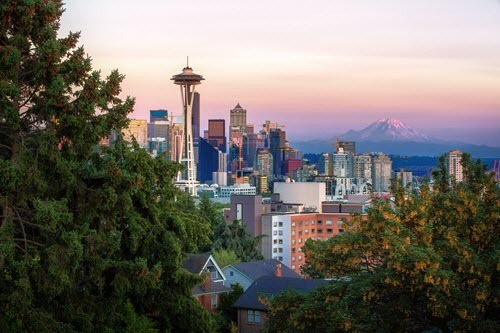 The Seattle cityscape captures the essence of the Pacific Northwest, with the Space Needle standing tall in front of Mount Rainier’s backdrop. The seaport city is surrounded by natural wonders and a world-class urban center. Land or sea, Seattle’s bustling population can travel by the city’s bike network or by water taxi. Pedestrian-friendly infrastructure programs continue as the metropolis has secured funding for the Lynwood Link light-rail extension project. New in town? Join the Seattle Section. Denver still retains its Old West legacy, so it only makes sense that the city’s first permanent structure was a saloon. 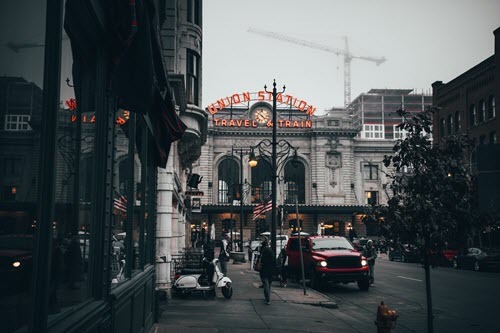 The Mile High City is known for having one of the most walkable downtowns in the nation, featuring three stadiums, a performing arts center, and three colleges – all within a mile radius. 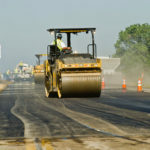 The city is focused on the road ahead as they plan for growth with a multimodal transit system, transit-oriented development, and urban redevelopment. New in town? Join the Colorado Section. Thank you all for your feedback. We framed this article as such in hopes of generating lively conversation about the profession and excitement for ASCE’s 2018 Salary Report resources. The term “best” was always meant to be relative. What makes a location “best” for someone involves a million different factors specific to their own needs – as many of you have noted here. Again, thanks for the thoughtful feedback, and thank you for reading! I would resort as follows: Take the city salary results from the survey and subtract out the MIT cost of living calculator results for the one -person typical expenses (not including taxes) and subtract out state, federal and city income taxes on the survey average salary. Depending on spending habits, lifestyle, family size, etc. there isn’t a one-size-fits-all apples to apples way to compare the job prospects across all cities, but I think this might come closest? What does everyone else think is the best equation to use for this comparison? Great comments and great cities to work as a Civil Engineer. Mobility is the CEs Friend. Working in a number of cities throughout your career with increasing responsibilities and experiences is what is the most satisfying. Wherever you end up. This article is misleading. The cost of living must be factored in. A high salary does not make the best place to be a civil engineer. For example, San Francisco has high salaries but the cost of living is extremely high. 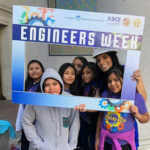 ASCE should not promote articles such as this one. The headline equates the best places for civil engineers to be simply equated to gross salary. It fails to address differences in the industry to benefits, vacation/PTO and work / life balance issues which also vary by region. Other cost issues include; cost of living, availability of affordable housing, transportation system/commute times, tax structures and a myriad of other livability issues. 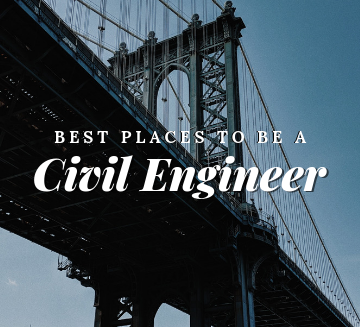 Bottom line best places for civil engineers is much more complicated than straight salary. I tend to agree with the comments above. Given that your target audience is engineers, it might be helpful to take the survey and apply a cost of living factor and then look at the top 5. Most engineers think in equations, so this would be an accessible train of thought for readers to follow. I would imagine the results would give you a totally different list which might be eye opening for some. I agree with Jon on his other point. The survey does not factor in how available positions are to did in those cities. This type of practices of misleading article titles should be abandoned, specially by respected sources like the ASCE. It shouldn’t be difficult for a typical engineer to factor in the cost of living in this article, or easier yet, to simply use the proper title. Hi, Eduardo. Thank you for your feedback. We’ll take it into consideration when crafting headlines for listicles on ASCE News. This approach completely ignores the much higher cost of living in each of the listed cities when compared with the national average. A more useful methodology would take that into account, rather than only looking at salary alone. Hi, Jon. Thank you for your comment. This list extracts information from members who responded to the 2018 ASCE Salary Survey. The survey report doesn’t articulate the cost of living for each city. For that reason, it’s not detailed in this article. You can view the full report here: https://www.asce.org/civil-engineering-salaries/. Then the problem is with the headline. The place with the highest mean salary for civil engineers is not necessarily the best place to be a civil engineer, even from a strictly economic standpoint. I tend to agree with the others. It may not be intended, but the headline suggests that the more money you make as a civil engineer, the happier you’ll be. There are most likely civil engineers in very small towns in the US making 50% of the NYC salary, that are much happier and/or less stressed. Again, I am guessing – but you get the point. I always recommend that engineers set goals based on what they love doing and why they want to achieve them, rather than the material rewards.